Dwelling in the ruins of the University thus means giving a serious attention to the present complexity of space, undertaking an endless work of détournement of the spaces willed to us by a history whose temporality we no longer inhabit. Like the inhabitants of some Italian city, we can seek neither to rebuild the Renaissance city-state nor to destroy its remnants and install rationally planned tower-blocks; we can seek only to put its angularities and winding passages to new uses, learning from and enjoying the cognitive dissonances that enclosed piazzas and and non-signifying campanile induce. Bill Readings critique of the postmodern (what he calls posthistoric) university in his book The University in Ruins (1996), analyses the university in its redirection from a historico-cultural legacy to its current incarnation in the form of a capital-generating, consumer-oriented, corporate entity. His investigation focuses on the quality of 'excellence' which he sees as being the watchword of the corporate university. For Readings, 'excellence' is a hollow term that has no absolute definition; he sees it as a construct of the bureaucratic university that provides a marker of simulacra-like value: “[...] excellence is not a fixed standard of judgement but a qualifier whose meaning is fixed in relation to something else” (1999: 24), and “Excellence is […] a means of relative ranking among the elements of an entirely closed system” (1999: 27). While Readings examination of the university is not an obvious reading of space, he often makes spatial references in relation to capitalist power: geo-political, architectural and noetic/psychic space. This is especially apparent in the chapter entitled 'Dwelling in the Ruins', where associations can be made to the language of the Situationist International group (SI), even though Readings does not make direct reference to this (other than his use of the term détournement, the only obvious reference is on page 17 where he mentions Guy Debord and provides a definition of 'the spectacle'). In this chapter Readings discusses the idea of architectural ruins, and how this ties in with his thesis on the posthistoric university, analysing the university from a number of perspectives, including ideological, pragmatic and romantic. I shall return to the notion of 'the ruins' in the chapter of this dissertation entitled 'Resituating the Ruins'. Short for: détournement of preexisting aesthetic elements. The integration of present and past artistic production into a superior milieu. In this sense there can be no situationist use of these means. In a more primitive sense, détournement within the old cultural spheres is a method of propaganda, a method which testifies to the wearing out and loss of importance of those spheres. It is apparent from the above definition that the process of détournement can be utilised within any form of production and is not something solely associated within an act of challenging capitalist power, as it would have been for the SI. The above quote makes reference to how it has historically been used in an ideological way, through propaganda. The act/process of détournement is not something that has only been used in a utopian project, such as that of the SI, but can be employed for any 'political' end, or indeed artistic means. As the SI state above: “In this sense there can be no situationist use of these means.”; this seems somewhat contradictory, since they have already appropriated the word in an attempt to reuse it in another setting. Also, in relation to the power invested in the term in essays by many members of the group, including Debord's essay 'Détournement as Negation and Prelude' (1959), it is clear from accounts that the Situationists did use the process in a practical sense, as Simon Sadler explains in The Situationist City: “Détournement would permit anyone to take part in raids on official culture” (2001: 44). While the SI do not explain what they mean by “a superior milieu”, it may stand for the institutions that they consider problematic, and because of this their denial that “there can be no situationist use of these means” may be a politico-philosophical one in that for them a “superior milieu” may represent a totalising form, which their programme fought against. To return to Readings' use of détournement. In this dissertation, I propose to use the term in a spatial sense in the same way Readings has above. Sadler sums this up well when he discusses the practices that the Situationists utilise in the city, such as psychogeography (which I will shortly return to); he describes détournement as “diversion” (2001: 11), which is one of the typical translations from the French. My own diversion from Readings forms an important connection between Readings own comments on space and history, in relation to the university as city, and the processes utilised by the SI group in their critique of the capitalist city-scape. In the way that Readings recommends as a way of challenging the space of the posthistoric university, I should like to discuss and propose a possible process in the form of a concrete practice, in an effort to apply “a serious attention to the present complexity of space” (Readings 1999: 129) of the university. I shall do this by lifting the corporate veil of the university and revealing it in its nakedness. One of the definitions that the Oxford English Dictionary (OED) applies to the verb denude is: “To make naked or bare; to strip of clothing or covering; spec. in Geol. of natural agencies: To lay bare (a rock or formation) by the removal of that which lies above it.”. It is interesting how the OED have provided an example of the word 'denude' here in a geo-spatial way by making reference to geological formation. My own excavation of the university will not be a geological one, nor archaeological, as I shall not be psychically digging beneath an actual surface, but rather more an ideological surface. I propose to explore the topography of university space that exists in the form of the campus, in an effort to: re-appropriate the university space; examine the outward phenomenon of the corporate university; and provide an alternative cartography to that supplied by the university. Before I begin the process of revealing the naked university, I should like to introduce the SI group's concept of the Naked City. I dreamt of Derrida last night. I think I was interviewing him, although it may have just been a regular conversation. We were in a house, in a kitchen or maybe a sitting room, at either side of a large farmhouse table. In the centre of the table, along most of the length, was a structure made of mirrored glass. The structure looked like it was made of shards of mirror, although the pieces were placed in an organised fashion. The construction was about 2 feet high and contained in a metal frame, with gaps between some of the pieces of mirror, which were all placed vertically. The structure was not very deep. To see Derrida I often had to move my head so as to keep him in view and so as not to see myself in the reflections instead. We talked about old-age and death. He believed he was going to die soon, but not in a way you do when you have a terminal illness as a sign. He said he was very old, although he didn't look that old, and to me was the same age as he was in his film. I said he didn't look like he was going to die and that my father was older than him. He said he was sure that he was going to die imminently, but was unable to explain to me the reason for this belief. He was relaxed in an intense kind of way, if that doesn't sound like a contradiction. I felt comfortable in his company and the atmosphere was one of familiarity, although not close friendship. Looking at his face, especially his eyes, seemed to give a glimpse into the activity of his mind. It looked like he never seemed to stop thinking, in a deeply philosophical way, about the world. At one point I managed to get him framed perfectly between the sections of mirror. Saturday July 19th 2009. We set off from the Parkinson Steps at the University of Leeds at approximately 11.45am. Four members of the new Leeds Psychogeography Group were present. We had a variety of printed downloaded maps of the university campus, including a maintenance one, which was quite detailed. We also had a GPS tracking device and software that mapped our route and tagged stopping points, enabling images or sound to be uploaded and indexed at these stages. Prior to leaving for the walk we had planned our route by throwing dice to decide which buildings (all numbered on the maps) we would stop at. Co-incidentally, a number of these buildings were collected together in the Lifton Place area, which is apparent when looking at the map (see link below). As this was our first dérive it was quite experimental. Also, the four of us did not know each other well, so not only was it an exploration of urban space, but also one of psychic space. 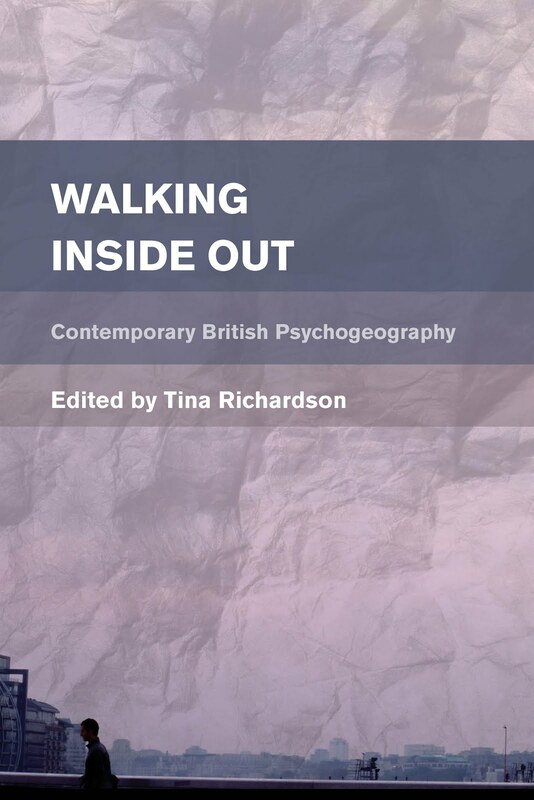 And, the fact we were all approaching psychogeography from a different perspective made the experience very interesting, as we all made note of different aspects of the environment: aural, aesthetic and spatial. The university was quiet; even the act of trying a number of locked doors did not draw security out of their summer mothballs. We did bump into someone, not a student, who was also photographing the urban landscape of the campus. There were also workmen on a section of the university which is being redeveloped: doing some overtime, or catching up in order to meet the deadline which is contingent on them getting paid the amount they have declared in their original tender. At one of the buildings (that came up twice when the dice was thrown), there was an exhibition from one of the Fine Art PhD students. So we took some time-out, visited the exhibition, drank some juice and chatted with the artist. The exhibition was on body hair. One of the works was a number of screens showing hair being removed, and the accompanying sounds. At one point we discovered a lost wallet on a windowsill in a courtyard. There was nothing of importance left in the wallet, but it had been placed like a miniature triptych. An image of this can be seen at the above link. We also found a red badge containing an image of a white horseman, hence the name of the dérive. It has been decided that dérives will be named after found souvenirs on each walk. The dérive lasted approximately 3 hours and ended when bodily functions and desires kicked in.